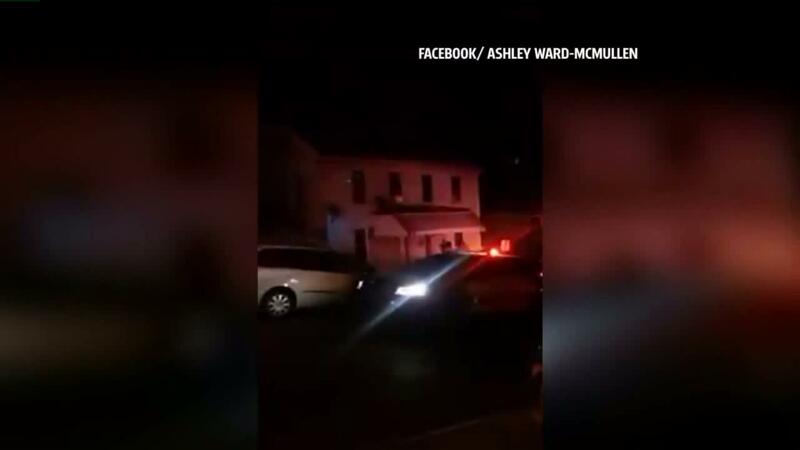 STEELTON, Pa. (WPMT) -- Friday night lights turned into a Friday night fight, after a high school football game in Steelton. The brawl involved about 100 kids as several area police departments worked together to break up the fight. Vandals also shattered a police car window during the brawl which spilled out into the street, but a few players said the fight had nothing to do with the football team. The Steelton Highspire Steamrollers 14-0 loss to North Schuykill wasnt the worst part of the game for the team Friday night. Rollers football player Kareem Rorie said "it was crazy, just how we lost and how everybody was acting. It was just out of control." Steelton police said about 100 kids were involved in a brawl that broke out after the game. Some say teens from outside the area came to the game, looking to cause trouble. A post-football game brawl involved about 100 kids as several area police departments worked together to break up the fight. Rollers football player Malik Defreitas said "it comes back on us, because the kids that were in here, they fought, and with our fans, and fought out there and made us look bad." The fight didnt happen on the field though, but on a tree-filled, all-American street lined with flags. It's a street where a few neighbors said police are always prepared for any problems after a game. Neighbor Maddy Bent said "it's just a football game. There really shouldn't be any police, but I do feel safer knowing that there's police here, in case anything big were to happen." Neighbor David Marcus said "and I'd rather have them in presence, and not have to deal with much, then not be in presence and who knows what might happen." Neighbors said fights like this one aren't that uncommon. "When there's a big rivalry, that's usually when it happens," Bentz said. The brawl may not be the first, but many hope its the last. "It's not supposed to be like that, it's just, it's a game. It's supposed to be fun, kind of sad," Bentz said. "We don't need that here. We try to keep it positive, for our fans, and for our supporters," Defreitas said. This was only the second game of the season, so far Steelton Highspire is 1-1, but Friday's loss and fight after the game isn't getting them down. Police haven't made any arrests, but ask if anyone has information on on this case or who might be responsible for shattering the patrol car to call steelton police, 717-939-9841.